Tellico Village is a large lakeside planned community on the western shores of Tellico Lake, near the Smoky Mountains in East Tennessee. 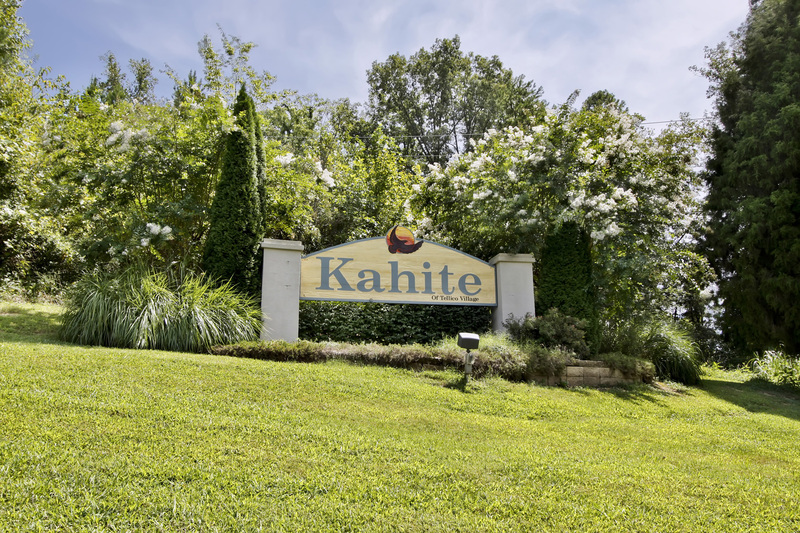 It offers the charm of a rural, small-town setting, but is conveniently located just thirty minutes away from Knoxville, TN. Tellico Village is comprised of eight neighborhoods: Chatuga, Chota, Coyatee, Kahite, Mialaquo, Tanasi, Tommotley, and Toqua. One of the unique attributes of Tellico Village is that the forests have been preserved with a minimal amount of residential impact. This makes for a tranquil, almost pastoral atmosphere. 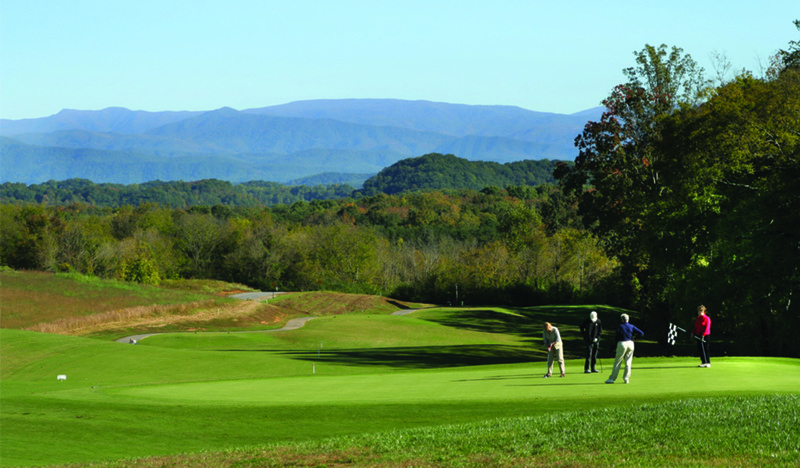 Tellico Village hosts three premium golf courses: The Toqua Golf Course, The Tanasi Golf Course, and The Links at Kahite. Tellico Village also possesses three recreation centers; including the new $2.7 million Wellness Center , with a large climate-controlled indoor pool, a vast array of cardio and weight training equipment, and plenty of other activities. There are also five marinas and a yacht club with a restaurant, bar, banquet facilities, and several outdoor entertainment areas. Many Village activities are hosted at the Yacht Club. 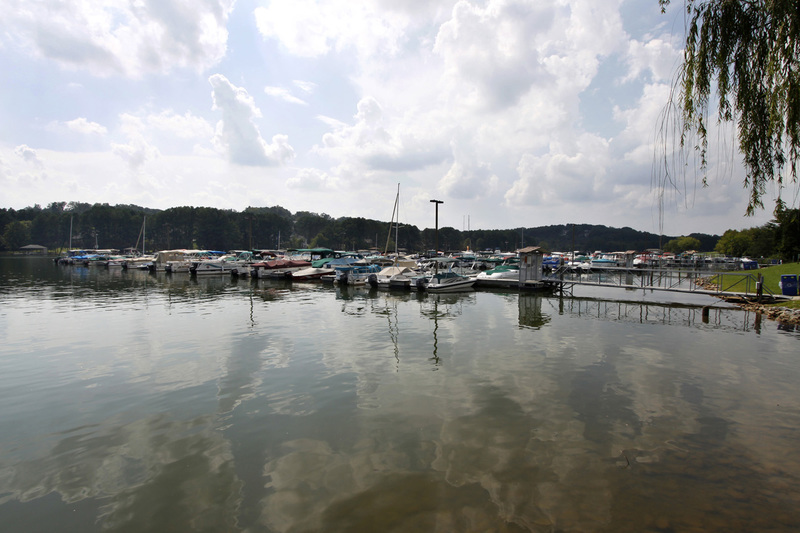 Access to Tellico Lake recreation ranges from private individual boat docks on lakefront property, several community boat docks for property owners, to community and public Marinas and public boat ramps. 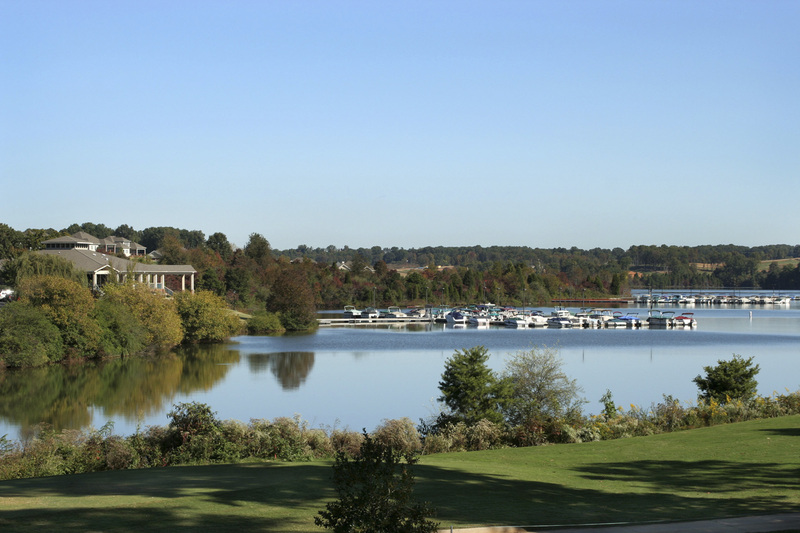 Variety and panoramic views are just part of the nationally recognized golf courses along Tellico Lake. Tellico Village has 3 championship courses including the Links at Kahite, each with full service Clubhouse facilities. 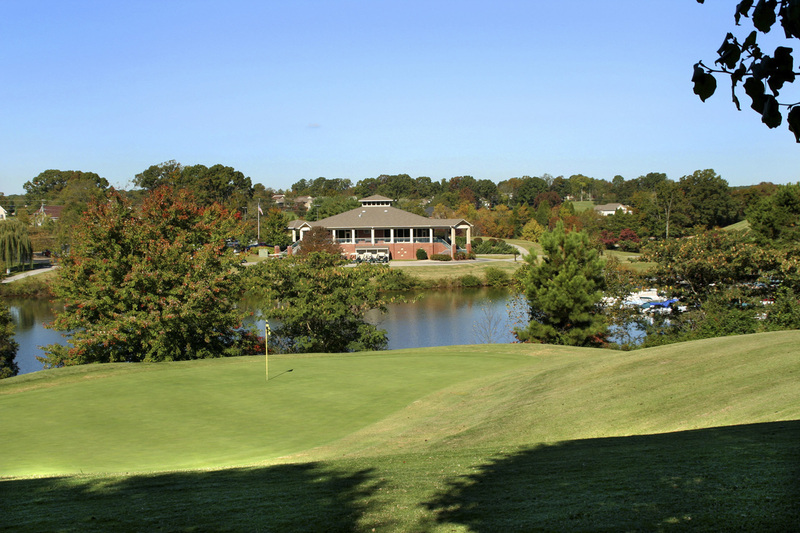 Both Rarity Bay and Rarity Point have 18 hole championship courses with panoramic views of the lake. Tennis is also a popular sport in the Village – with 4 Har-Tru® unlighted courts at the Wellness Center, 4 lighted hard-surface courts at the Chota Rec. Center, and 2 unlighted hard-surface courts at the Kahite Activity Center, there are plenty of places to play. Tellico Village has 3 recreation centers; including the new $2.7 million WellnessCenter, with a large climate-controlled indoor pool, tennis courts, vast array of cardio and weight training equipment, and dozens of classes and activities to choose from. There are hundreds of clubs in Tellico Village to suit every interest, from service organizations (such as Kiwanis, Lions, Rotary, etc.) to hobbies (quilting, beading, art, photography, and much more) and games/sports (fishing, badminton, bridge, mah jongg, pickleball, and many more). The Tellico Village lifestyle is an active one and something new residents enjoy at one of the best retirement communities in Tennessee. The Art Guild of Tellico Village is comprised of people who appreciate the visual arts and of those who create it; the majority of the membership is local area artists from beginners to professionals representing two-dimensional and three-dimensional art forms. The Tellico Village Badminton Club is made up of people of all ages who enjoy playing badminton. Weekly activities are staged at the Tellico Village Chota Recreation Center. The Computer Users Club provides a forum for the community’s computer users to help each other in their understanding and use of personal computers through monthly meetings, field trips and other educational events. The Tellico Cruising Club’s primary purpose is to promote safe fellowship and seamanship on Tellico Lake. The club’s fleet consists of over 200 boats. The Dog Owners Group (DOG) is for those that have and love dogs. The central activity of the organization is maintaining the club’s Rover Run Dog Park. The Tellico Village Fishing Club provides a forum for knowledge sharing through meetings, tournaments and outings that promote fellowship, fishing techniques and awareness of local lakes. The Tellico Village Garden Club’s aim is to encourage the love of gardening and improving the quality of the environment through educational programs, field trips, publications and the maintenance of the community’s neighborhood gardens. GFWC Tellico Village Women’s Club is affiliated with the General Federation of Women’s Clubs (GFWC) which has headquarters in Washington D.C. GFWC is primarily a service organization, and members contribute significantly to their communities through their various volunteer efforts. The Tellico Village Hikers involve people of all levels of hiking experience, acquainting them with the natural beauty of East Tennessee. The club organizes two hikes a month of varying difficulty and distance for interested Villagers. The HomeOwners Association of Tellico Village is a social and advocacy organization and is the largest group in the community. The Illinois Club is open to former residents of Illinois no matter how long or short a stay in the state. Primarily a social organization, the club affords opportunities for former residents to reconnect. The Tellico Village Ladies Gold Association is dedicated to encouraging ladies golf play in the community. 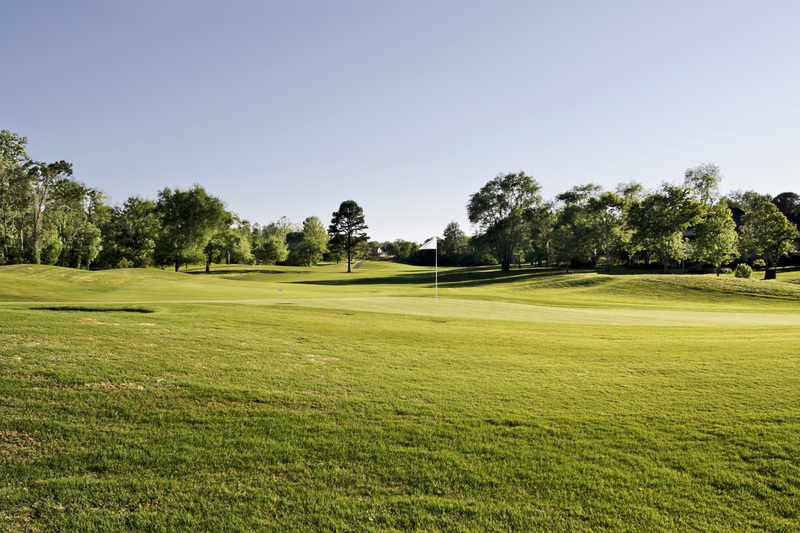 The social organization plays nine-holes of golf at one of the community’s golf courses. Footloose in Tellico is the Village’s line dancing club which holds monthly dances at the Tellico Village Yacht Club. The Tellico Village Men’s Golf Association organizes social golf events for high and low golf handicappers. 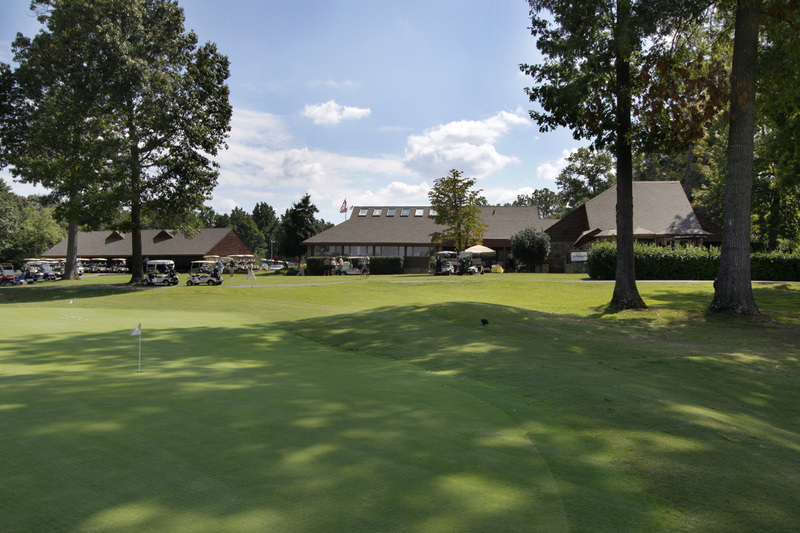 The club features a weekly group play at one of the three Village courses. The New Villagers Club of Tellico Village is a social organization whose purpose is to welcome, acclimate and entertain newcomers to Tellico Village. The club promotes friendship and facilitates participation in Village activities. The Tellico Pickleball Club is an athletic and social organization, focusing on the playing of pickleball, while providing exercise, development of skills, and social interaction for the residents of Tellico Village. The Village Quilters Club is dedicated to preserving and continuing the traditions, culture and history of quilting. The club sponsors, supports and encourages numerous quilting activities. The Tellico Roadrunners RV Club enjoys the open road. An all volunteer organization, the club organizes a series of motoring activities throughout the year. The Soggy Bottom Kayakers are an informal boating activity which encourages friendship and seeks adventure on the water. The group arranges paddling trips April through November on nearby lakes, rivers and streams. The Solo Club is an active, friendly social club which welcomes legally single men and women who are looking for new friends and fun times. Tellico Community Players celebrate the arts by offering quality theatrical entertainment to audiences in the East Tennessee region, while fostering appreciation of the dramatic arts in the youth of Loudon County and the surrounding area. The Tellico Lake Tennis Association is an organization of dedicated tennis players who enjoy the game of tennis and who work to organize and maintain active tennis programs. The Tellico Riders Motorcycle Club’s purpose is to organize and support group rides and activities related to motorcycling, support safe riding for its members, conduct membership meetings, and organize social gatherings and events. The Tellico Village Concert Committee’s purpose is to bring entertainment to Tellico Village and to promote music education in Loudon County. Village Vettes is a group of Corvette enthusiasts based in Tellico Village with membership throughout East Tennessee. The club conducts a monthly meeting and plans numerous trips. Vintage Vehicle members are motor vehicle enthusiasts: cars, trucks, antique, classic, and contemporary who promote preservation, restoration and the use of their vehicles. The club encourages good fellowship, a positive understanding of the vintage vehicle hobby and community involvement through charitable activities. The Tellico Village Woodworkers Club promotes further knowledge and expertise of the woodworking craft through meeting programs, mentoring classes, and sharing experiences. There are also clubs for a variety of interests: Basketball, Bible Study, Birders, Bluegrass Jam, Carving Club, Chrysler Retirees, Contract Bridge, Crafting, Day Trippers, Digital Photography, Duplicate Bridge, Euchre, Genealogy, General Motors, herbs, Just for Fun Photographers, Kahite Women’s Club, Knitters/Crochet, Ladies 18 Hole Golf, Lady Linksters, Mac users, Mah Jongg, New York Staters, Pinochle, Racquetball, Rubber Stamp Art, Square Dancing, Stained Glass, Support Groups, Table Tennis, Tellico Peddlers, Cycling Club, Tellico Top Notes, TOPS, Wally Ball and Weight Watchers. Click on the links below to search for specific listings. Although real estate around Tellico Village comes in all flavors – from townhouses to a nice selection of building sites – most people are attracted to the incredible choices in single-family homes. You may choose from a variety of architectural styles situated on lakefront, golf course, with lake and mountain views, or beautiful wooded settings. Single family and vacation homes on the greens can range from under $200K to much larger homes over $500K. 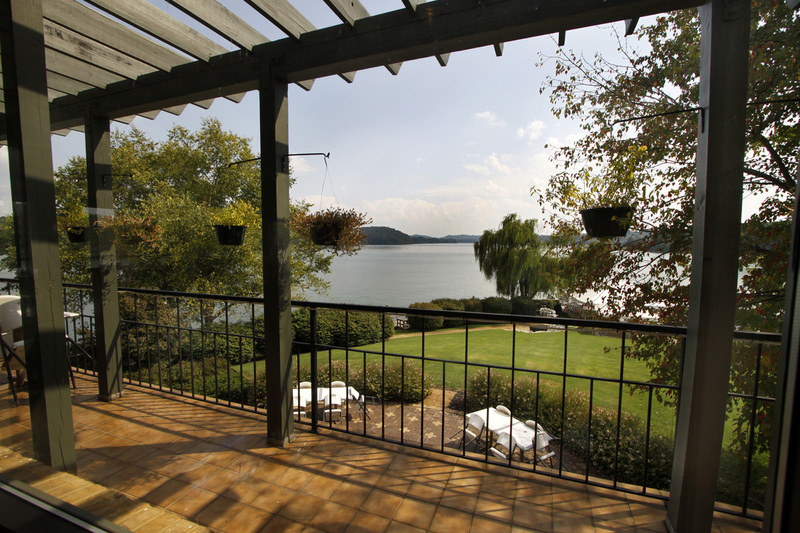 Some Toqua, Tanasi and Kahite golf course homes offer breathtaking views of Tellico Lake and all are located with easy access to recreation facilities. Tellico Village follows the shoreline of Tellico Lake and every home is just a short distance to the water or you can own a single-family waterfront home with your own private boat dock in your backyard. Lakefront homes range in price from the low $500k and up. 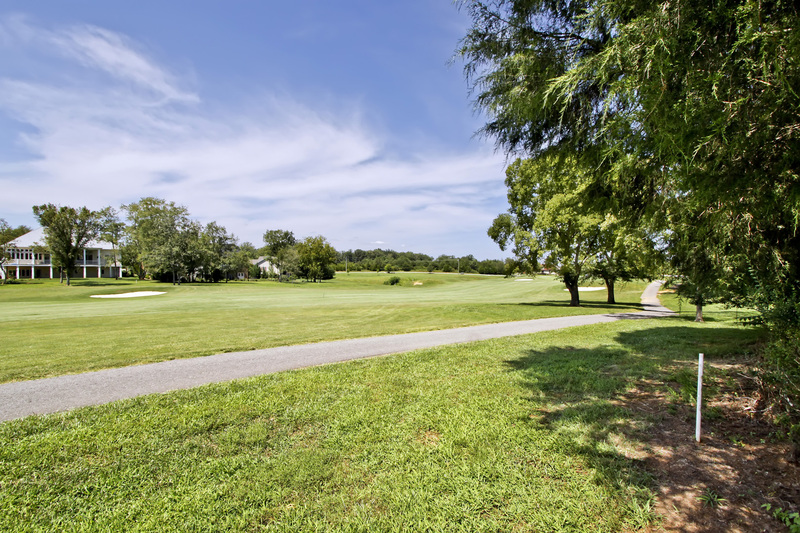 If golf is not your only source of fun, the famous Wellness Center of Tellico Village will certainly capture the rest of your time as a resident of Tellico Village. This 27,000 square foot facility only offers an array of activities and resources for fitness with a spectacular view of the Great Smoky Mountains! The Wellness Center features an environment-controlled indoor swimming pool – home to Tellico Village’s very own Swim Team, the Tarpons – a large exercise room, indoor walking track, fitness class studio, tennis courts and men’s and women’s locker rooms and saunas. Furthermore, as the Wellness Center is in the heart of the area, single-family homes in Tellico Village all have easy access to its amenities. No matter your appetite for recreational or lounging pleasure, homes in Tellico Village span the entire range.